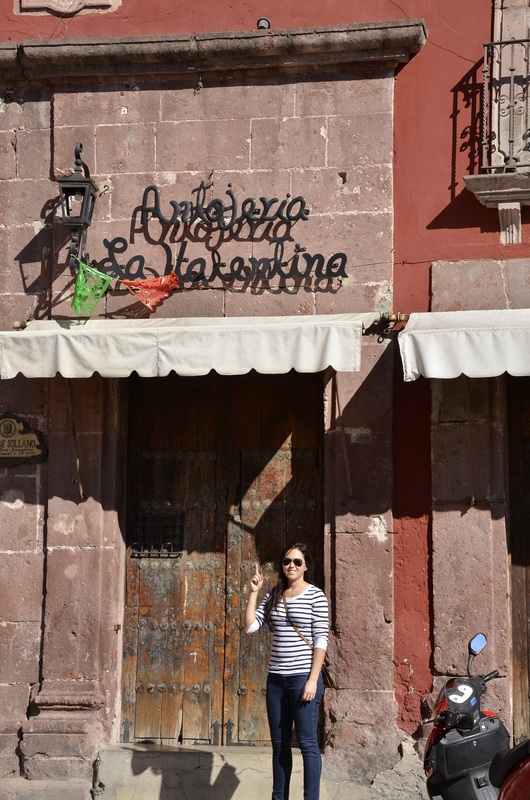 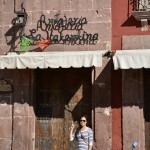 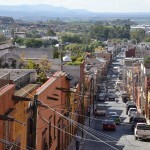 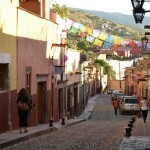 Last week Valentina and I headed north to the state of Guanajuato for a three-day, two-night road-trip. 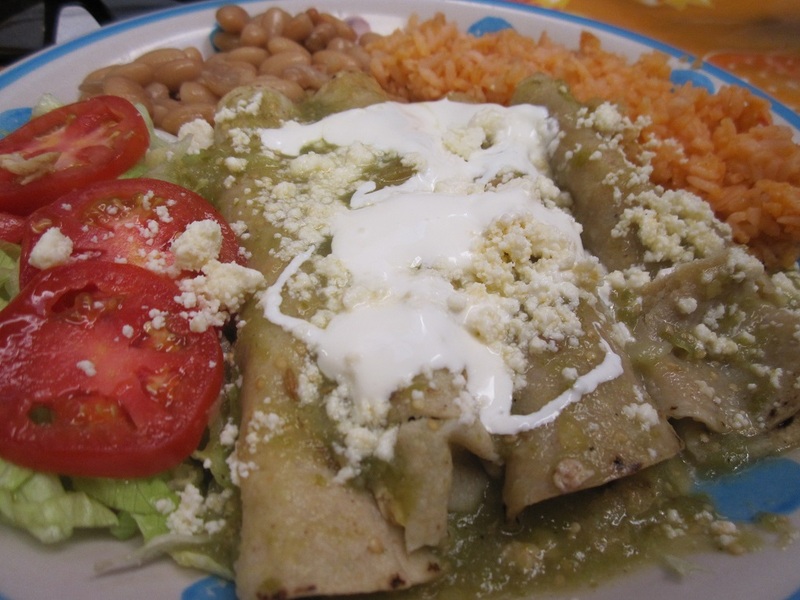 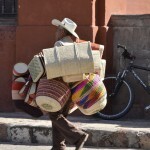 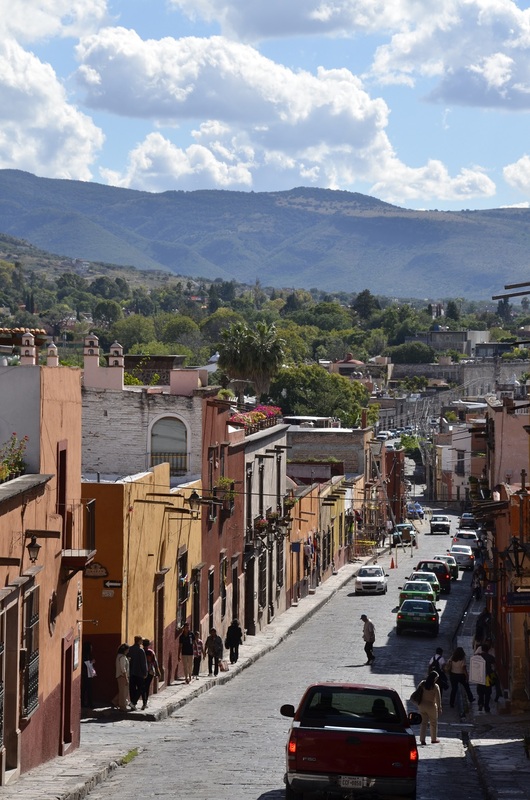 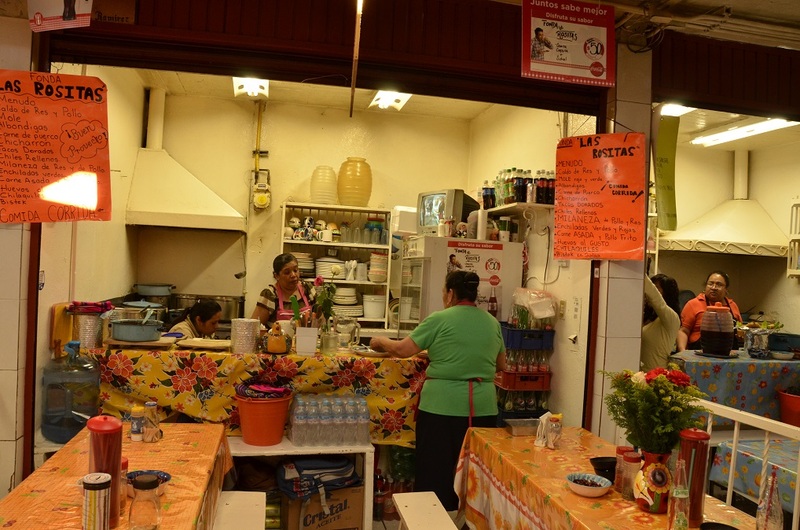 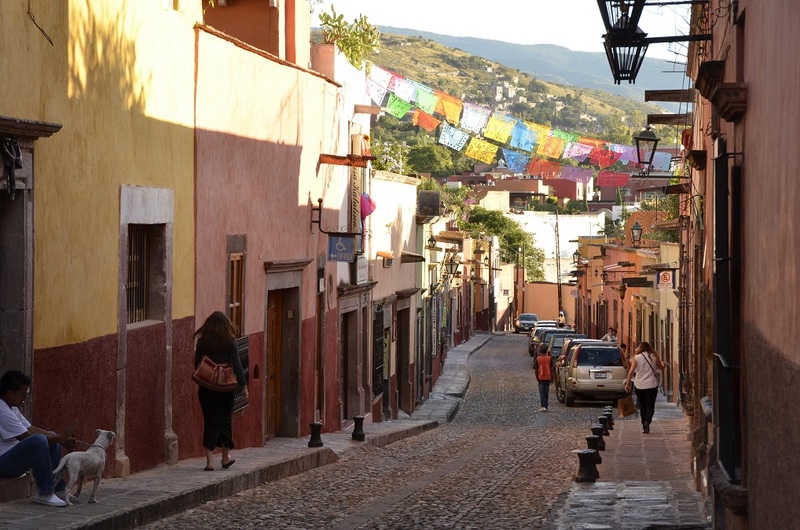 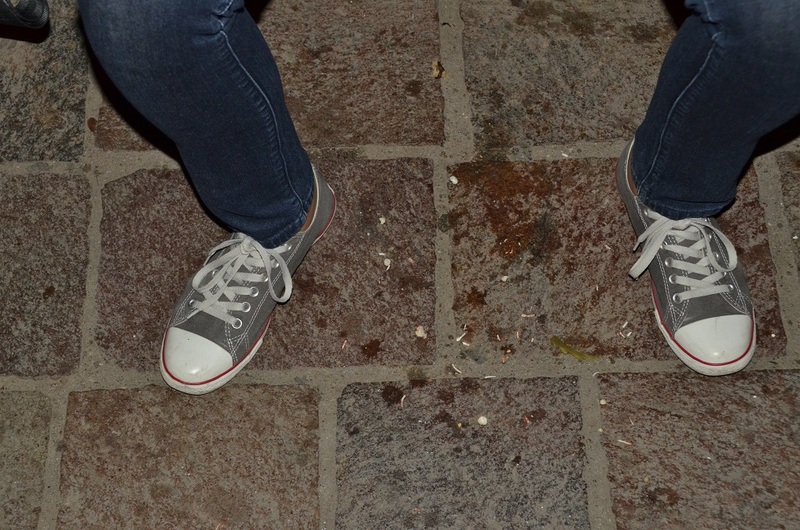 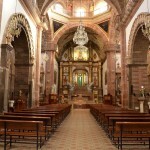 Our first stop, San Miguel de Allende, was about a three-hour drive from Mexico City and a real slice of Mexicana. 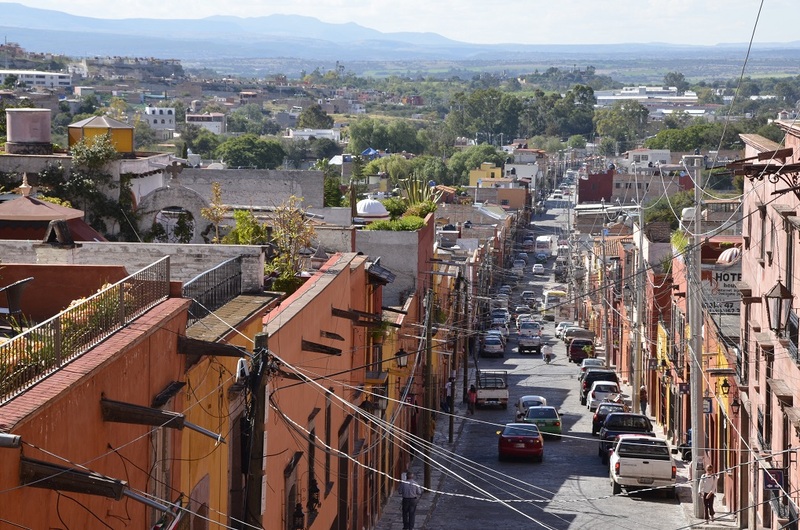 It was quiet, clean, beautiful and the people very friendly, which is probably why it is so popular with tourists who look to find a quiet town near Mexico City. 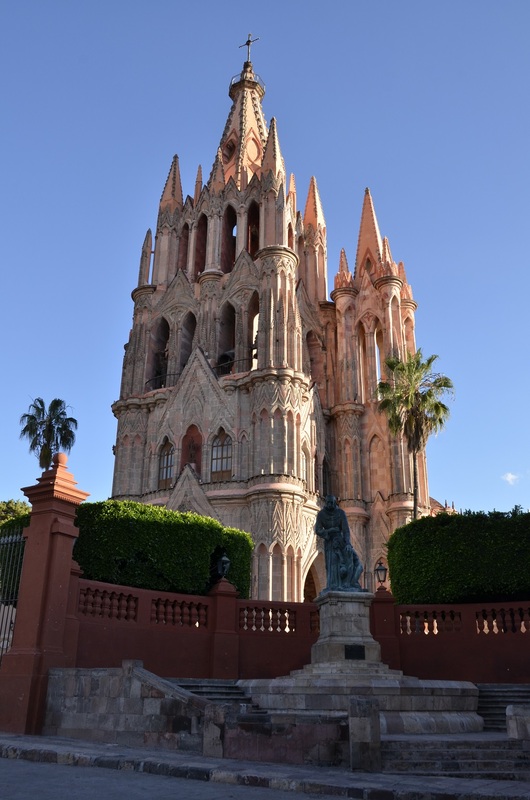 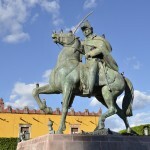 While San Miguel de Allende is a smaller, leisure town, it is big in history as it was the first municipality to declare independence from Spanish rule during the Mexican War of Independence in 1810; the birthplace of Ignacio Allende, one of the most important figures in the War of Independence; and has plenty of that colonial charm. 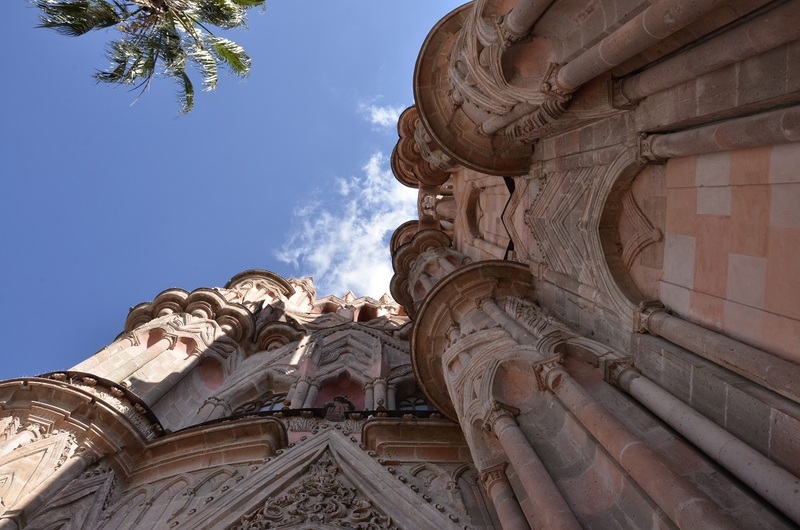 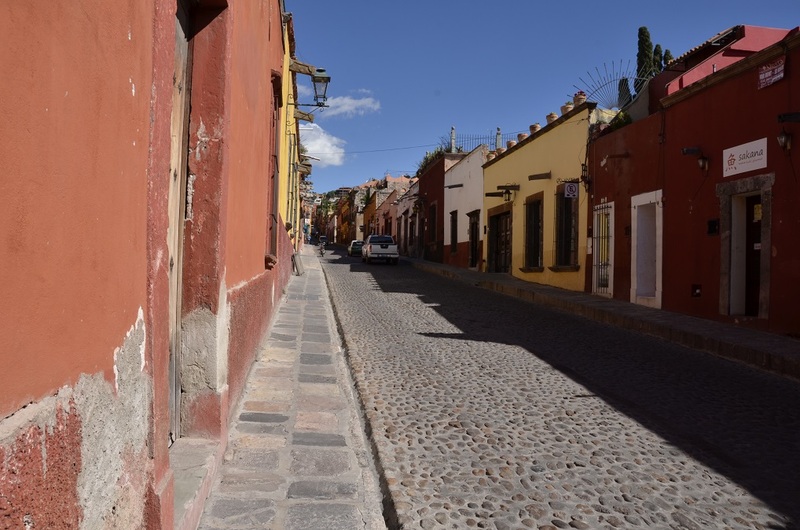 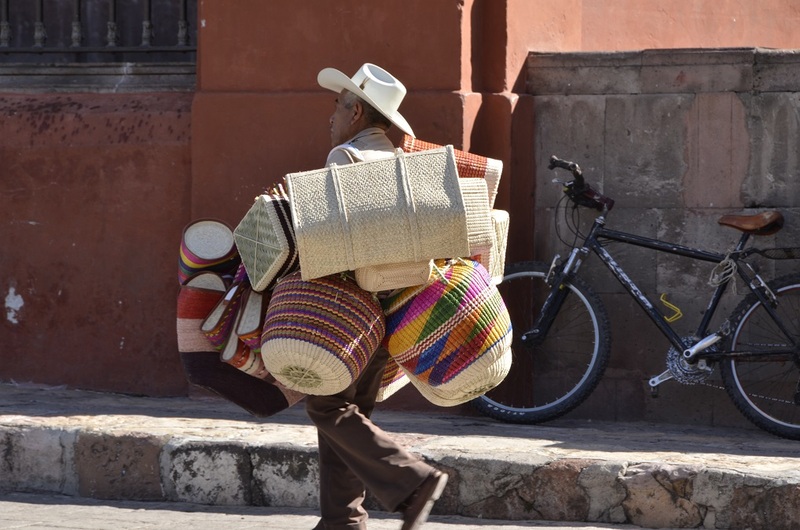 We arrived at around 130PM on Tuesday and checked into our small, colonial-style (perhaps even era) B&B at the end of a quiet side street that was just a few blocks from San Miguel de Allende’s central plaza. 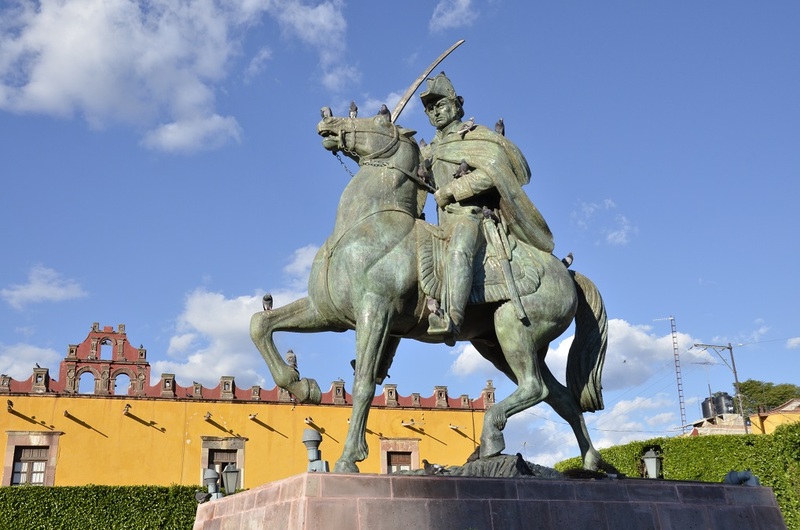 We then spent the afternoon exploring the town’s crisscrossing cobblestoned streets, but the main attraction was definitely the central plaza. 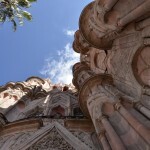 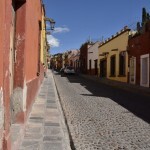 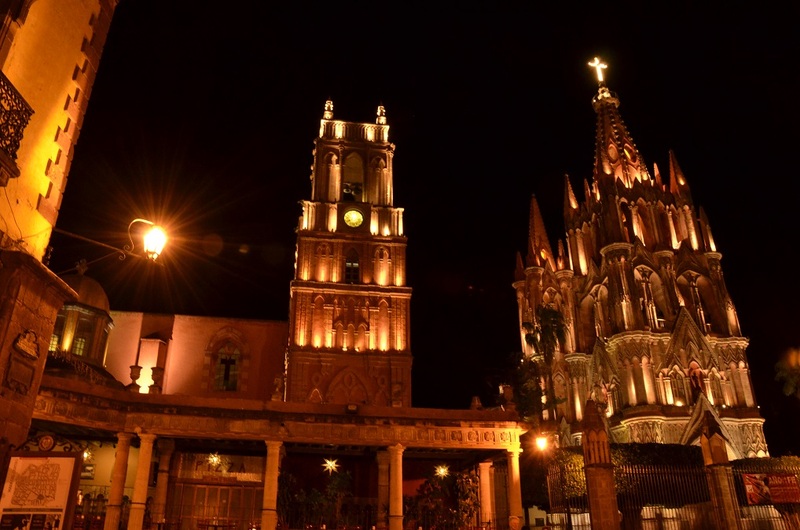 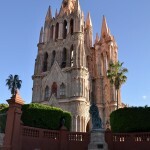 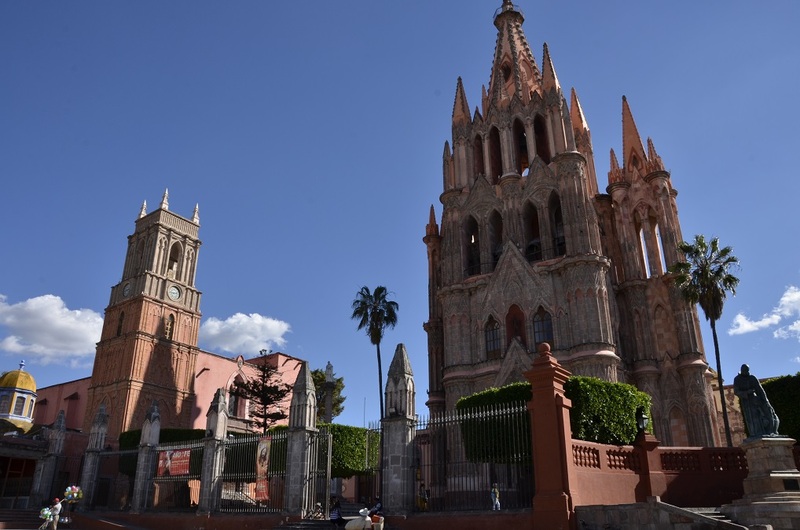 While most, smaller Mexican towns have a picturesque central plaza, San Miguel de Allende’s was particularly impressive. 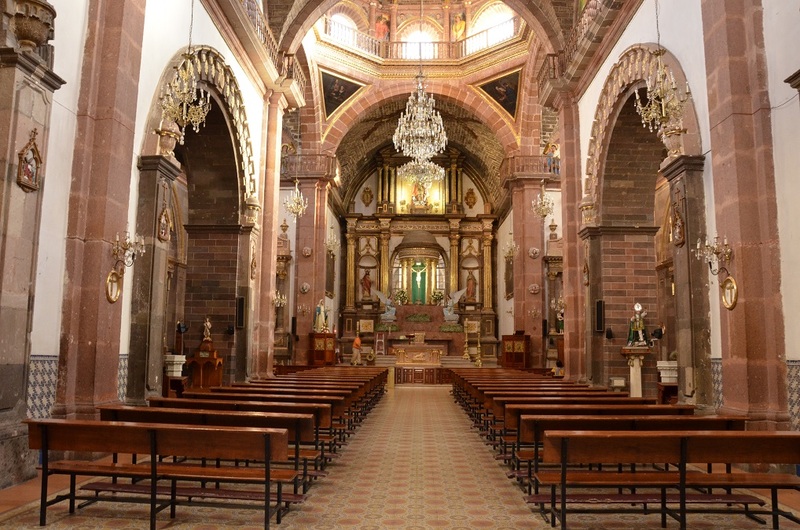 It was extremely well preserved, still filled with original buildings from the 17th and 18th centuries; and of course, a grand church as its centrepiece. 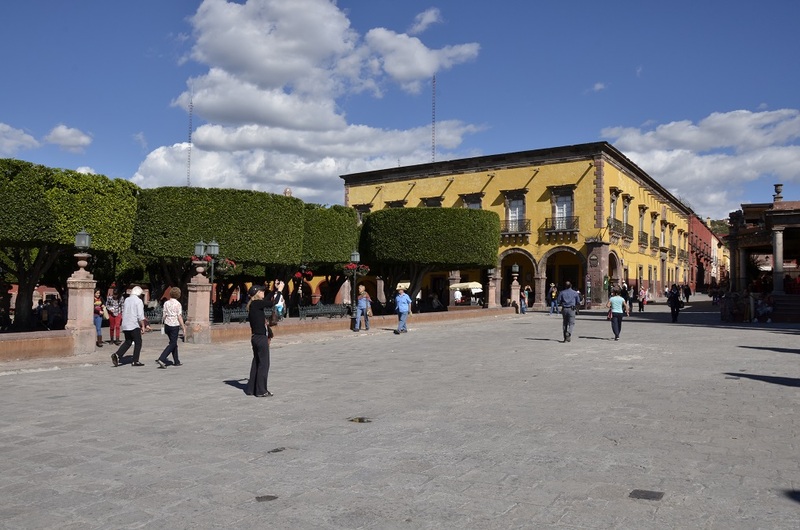 We had read that the central plaza was popular with tourists, which proved to be accurate as it was filled with plenty of old white people. 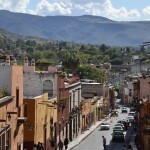 From the central plaza we wandered about for another couple hours until we found our way to the market, and much to Valentina’s delight, market food and lunch. 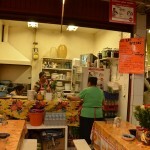 So much tasty for only 30 pesos. 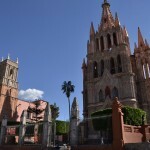 After our delicious enchiladas verdes, and Pepsi in a glass bottle (I never tire of that novelty), we spent what was left of the afternoon, doing what people do in San Miguel de Allende, sitting on a bench in the central plaza soaking up the sun and people watching; after which we returned to the B&B to enjoy a brief 6PM siesta. 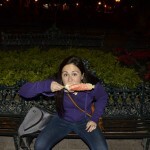 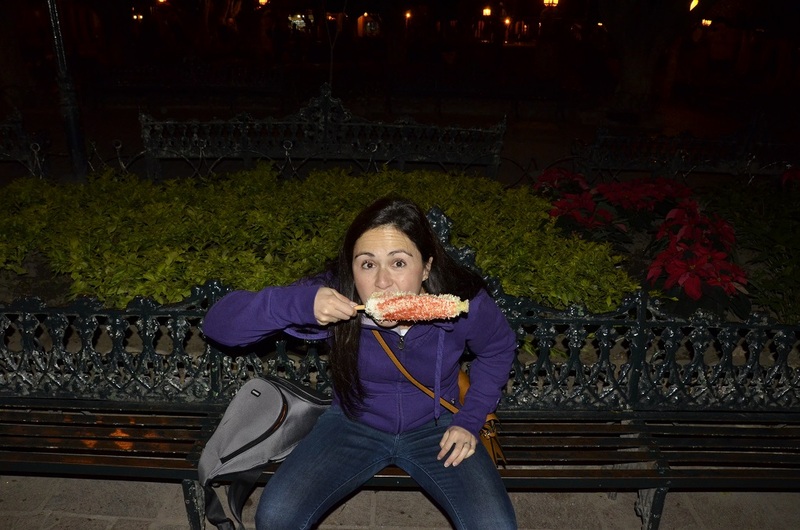 Once nightfall arrived however, we returned to the central plaza for a Mexican Street Corn dinner (Valentina actually ate from the cob, but I soon discovered why she preferred the corn in a cup) and to take in the beautifully illuminated central plaza. 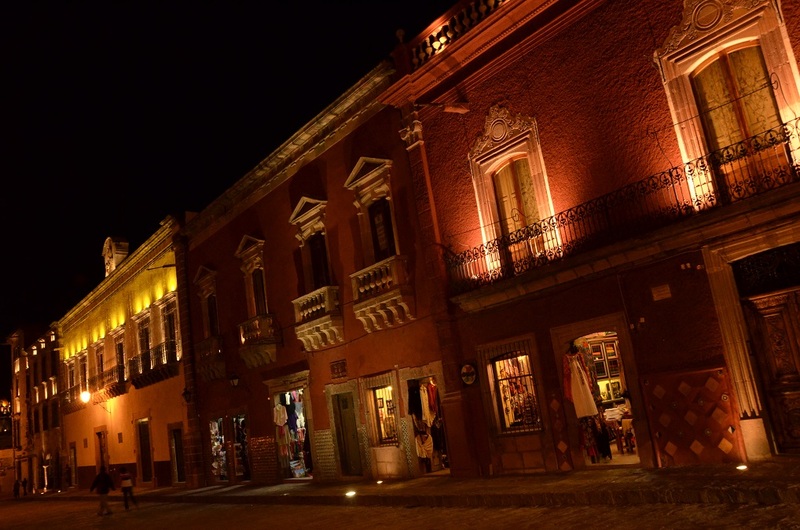 We then randomly wandered the empty streets until about 10PM, when we decided to call it a day.